Home › Forums › AskWoody support › Windows › Windows 7 › Questions: Windows 7 › Slimware DriverUpdate: PUP? Pepsiboy 3 weeks, 2 days ago. My laptop was not connected to the internet over night (Like usual.) and I saw this on my desktop this morning. (1st attachment) When I left clicked on it this (2nd attachment ) is what came up. I did not click on anything connected with Driver Updates as far back as I can remember. I don’t know what it is or where it came from. before deleting it, my Task manager showed that it was using 85% to 92% of my CPU time. After deleting it, CPU usage went back to normal. 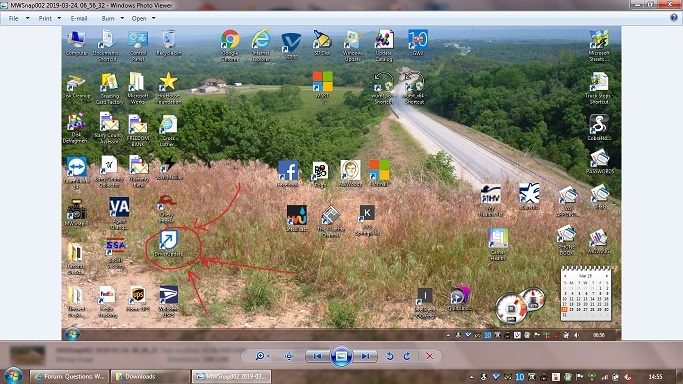 When doing a right click and clicking on “Properties” it shows as being from McAfee (sp). I have not seen anything today that shows being tampered with on this machine. Just being nosey, but has anyone noticed this also?? Just who or what put it on my machine? Well, i messed up on the attachments. I hope this way will work. Here is some information – it’s a PUP according to Bleepingcomputer. 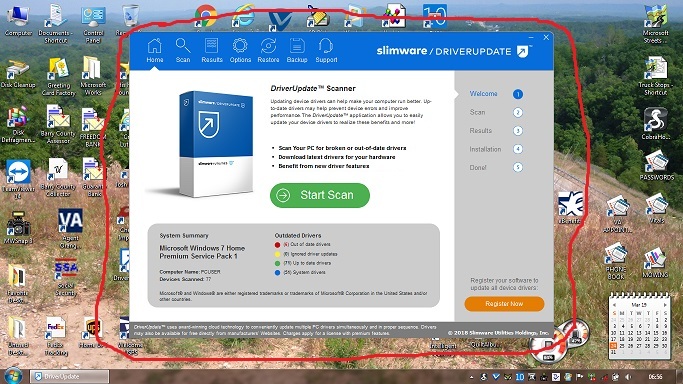 As to how it made it onto your screen even though the laptop was disconnected overnight, it’s possible that whatever put this DriverUpdater on your computer also set it to pop up under some predetermined circumstance, such as at a given hour or when you woke up the computer. Have you installed anything else lately–for example, software or browser extensions? It could have come in piggybacking on something else that you did install on purpose. Another question: do you use any McAfee products? Thank you for the answer. No, I do not use or have anything on this machine from McAfee. On an older machine I did use their antivirus products, but did NOT like them. I now use Vipre Internet Security on both of our computers, and I think it is the best thing around for us (IMHO). This morning I will be going through this machine and trying to find and delete ANYTHING related to Slimware DriverUpdate. Well, all seems to be well with the laptop. Nothing else was found about SlimWare. I guess I got lucky. Thanks to all for the tips and answers to my silly questions. Reply To: Slimware DriverUpdate: PUP?